GeoParadise is a 501(c)3 Public Charity based in the U.S. that has been working with native communities throughout the world since 2011. GeoParadise encourages and supports indigenous communities to participate in its main annual event "Tribal Gathering" to share, learn, connect with one another and to propose project ideas that they would like to see implemented in their villages to improve their livelihoods while preserving their culture and natural habitat. GeoParadise charitable goals are to assist in providing basic necessities, education and to promote art, culture and civic engagement. We aim to create programs which will have a lasting effect, helping to develop long term sustainability within the communities we work with. 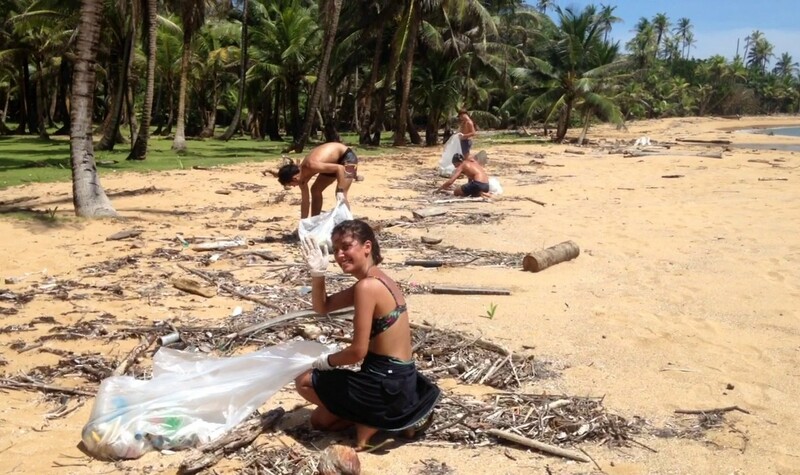 The programs are primarily facilitated by GeoParadise and its world-class volunteers, but also in cooperation with other non-profits, schools, foundations and social enterprises. With a major focus in Panama, GeoParadise runs programs in several indigenous territories and communities within the country. 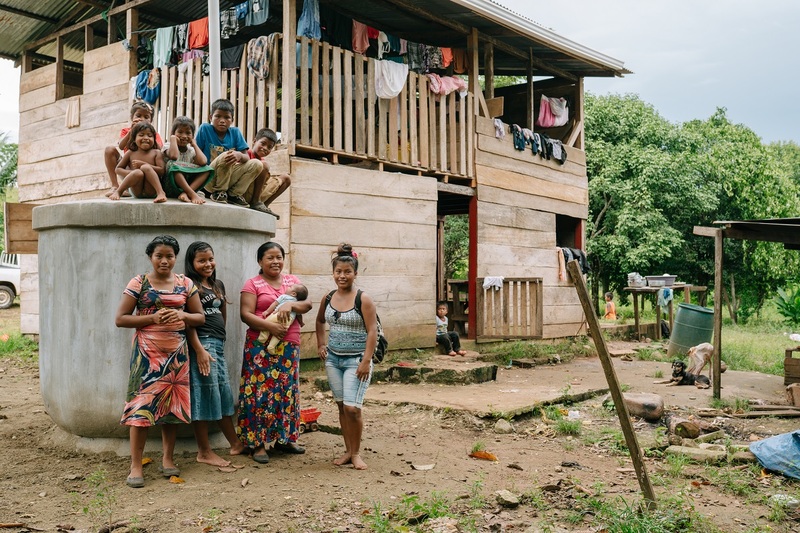 We have recently extended our programs to Costa Rica and Guatemala, with a previous focus on communities in Brazil, Mexico, Colombia and Peru. We have the intention of growing into other neighboring territories in the future. Once a year 60 tribes from 30 countries come together to share their knowledge with each other, artists, teachers and attendees from all over the world. Tribal Gathering is so much more than a music festival. It’s 18 day’s on a Caribbean beach, around 200 workshops and presentations, hundreds of musicians from around the world, a learning journey from the ancient to the modern and one of the worlds most important indigenous cultural celebrations. The first half is dedicated to the tribes with several zones offering workshops, ceremonies and indigenous music. There are also non indigenous presentations on topics like art and music, sustainable development and agriculture, health and nutrition, socioeconomic issues and more. Slowly the pace picks up and we seemingly travel through time to the finale of five days of electronic music and what might be described as our modern rituals of dance, art and creativity. Project: Community center for "El Progreso"
Project: Water system for "El Progreso"
With the help of our student volunteers from Delf University (Netherlands), Geoparadise has built a rainwater collection system for the village of El Progreso. 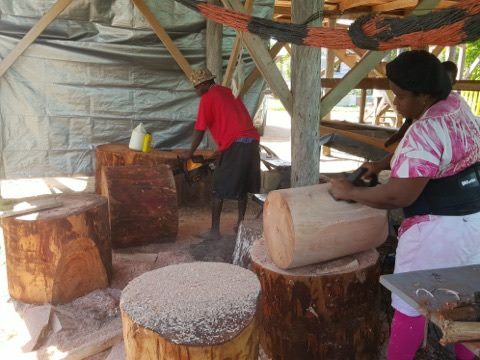 We are excited to support Project Inebezi, a musical endeavor focused on continuing the cultural practices of the Garifuna people of Belize as well as a multi-year performer at our annual Tribal Gathering fundraiser, with the purchase of their traditional handmade drums. Collaborating with students from Delf University, Geoparadise provided workshops to the local community focused on Sanitation and Water Filtration. 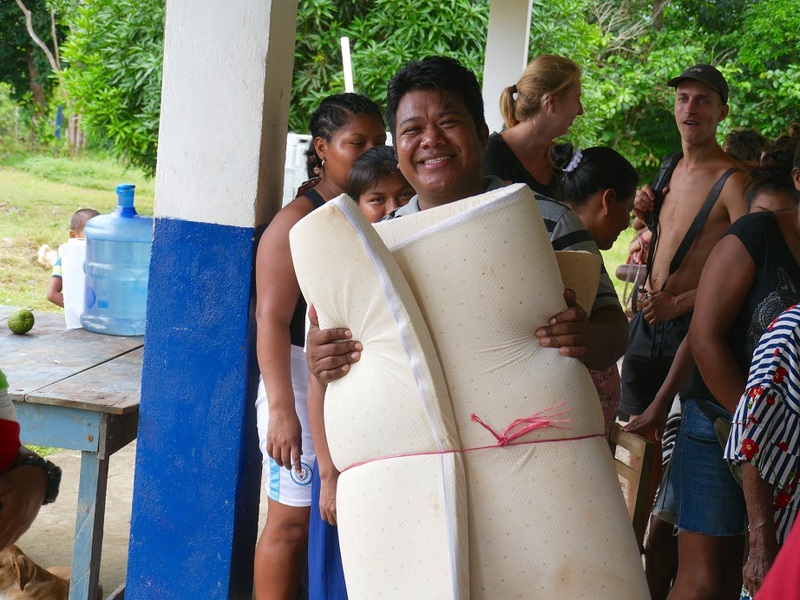 To improve quality of life in the village of El Progreso, Geoparadise utilized donations from the annual Tribal Gathering fundraiser to purchase new mattresses for the entire community! Our volunteers led the local children of El Progreso in a day of recreation, team building games, and fun! Our Geoparadise on site crew was able to set up a community out reach event to get the clothing to the lovely folks in the local village "El Progreso". We are hoping to set up another clothing / school supply drive coming in the winter. Donation from Geoparadise Charitable Fund helped to replant 300 cotton plants and supported the community in their pursuit in recapturing a dying art. 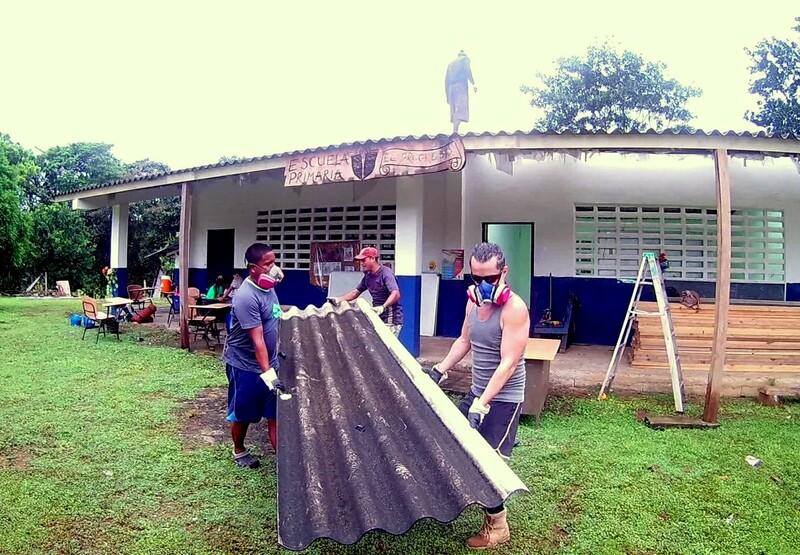 Our crew were able to help Primary school El Progreso with replacement of old dangerous "Asbesto" roof with new harmless cement based roof sheets. Geoparadise contributed with financial donation to production of indigenous runned festival Kallpay Warmi in Peru. We are going to continue cooperation for future editions of this incredible event. For this sixth edition of Tribal Gathering, we invited more than sixty-two (62) tribes from around the world, and almost 1,800 participants attended. 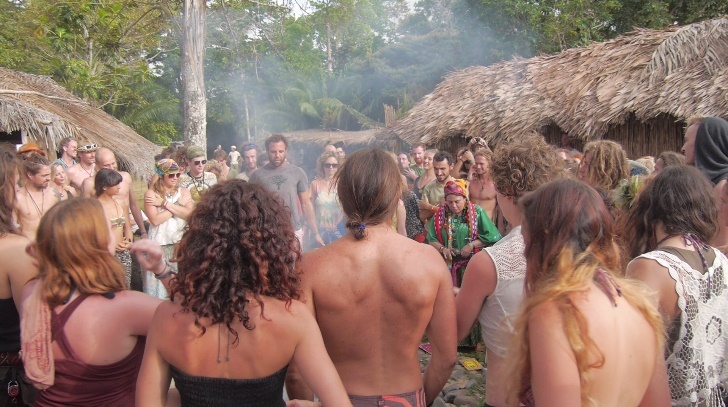 The gathering was held on a paradise beach front location, on the Caribbean coast of Panama. Our Geoparadise crew and volunteers were able to help with painting and renovations at primary school "El Progreso". GeoParadise requested different types of donations for the 80 members of the tribe. For 2018, the tribe has requested the means to finish their homes with the proper construction tools, materials, and mattresses. Delivery took place in April 2018. For this fifth edition of Tribal Gathering, we invited more than sixty (60) tribes from around the world, and almost 1,500 participants attended. The gathering was held on a paradise beach front location, on the Caribbean coast of Panama. Each year glasses are collected and donated to one of the six main indigenous populations in Panama, the Kuna (Guna), who live on their own, self-sustaining reservation called the Kuna (Guna) Yala. 168 pairs of glasses have been donated to Armilla. 70 pairs of glasses have been donated to Cuba, Kuna Yala. 40 pairs of glasses have been donated to Nusatupu, Kuna Yala. 4 piglets have been donated to Goetupu and Nusatapu, Kuna Yala. 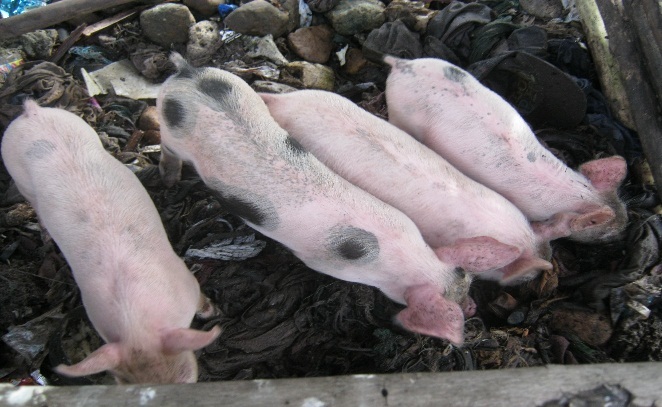 4 piglets have been donated to 4 families in the Progreso area, an indigenous Emberá community in Colon, Panama. 4 piglets have been donated to 4 families in the Palenque area, a small, local town, near the Tribal Gathering site. 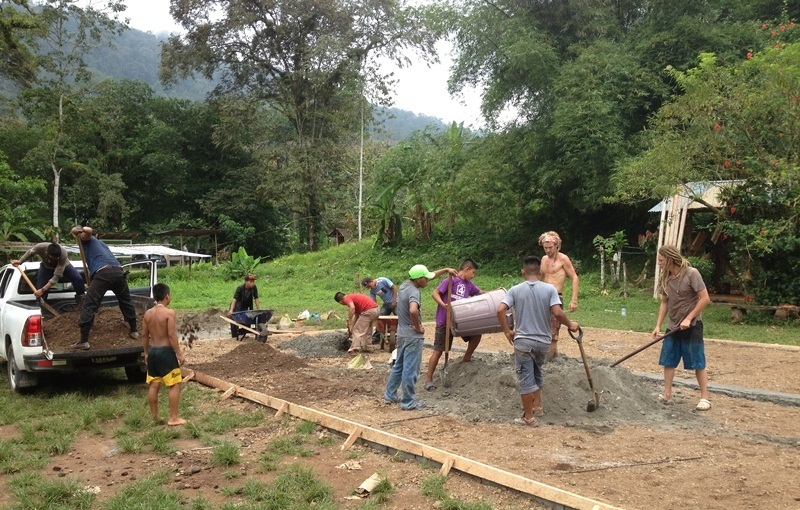 GeoParadise worked with the SoCagrû association, to assist a family from the Boruca tribe in Costa Rica. A small house is being built to a family at social risk to have more space and better living conditions. 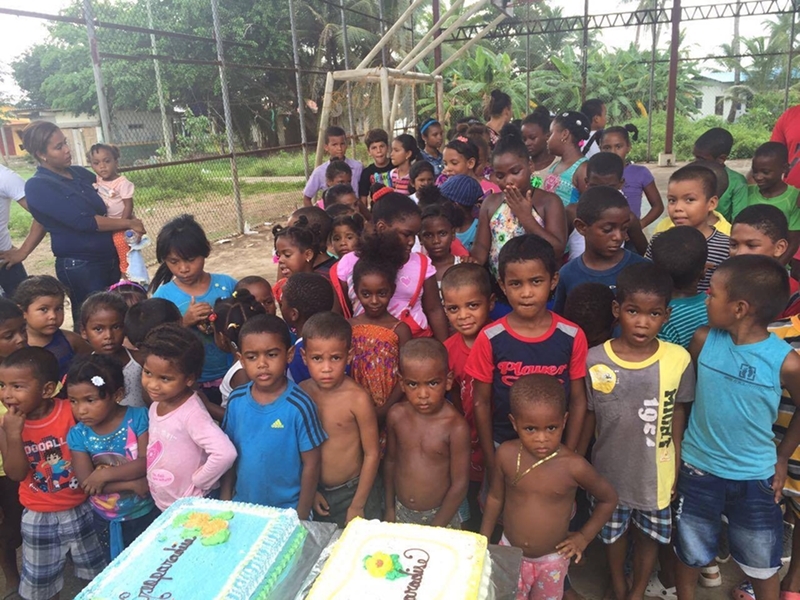 For “Kids Day” in Palenque, Colon, in Panama, GeoParadise invited all children of the area to share a feast and celebrate the day. Around 100 kids were present for the celebration and sharing of food, and the left-over food was given to the mothers of the community. 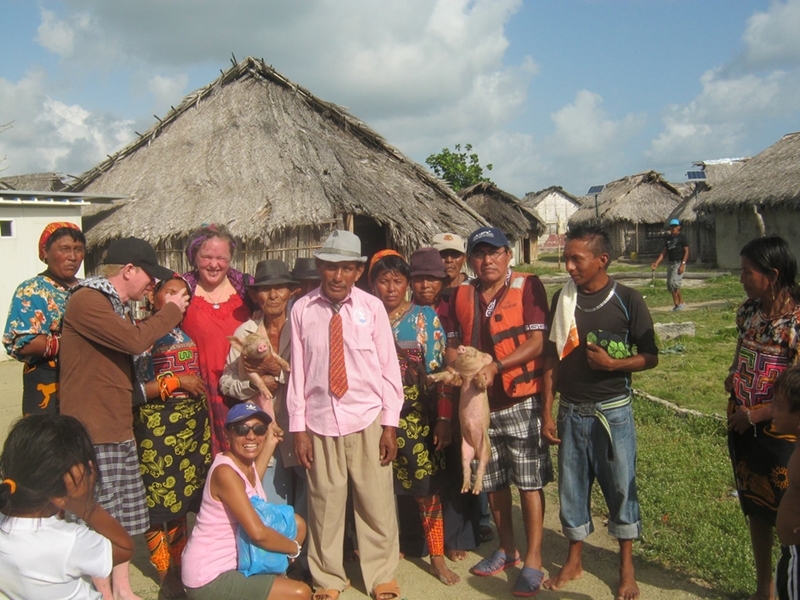 GeoParadise donated 4 breeding pairs of piglets to a community in the eastern part of Comarca, on the Kuna (Guna) Yala archipelago. This was part of our animal breeding project. 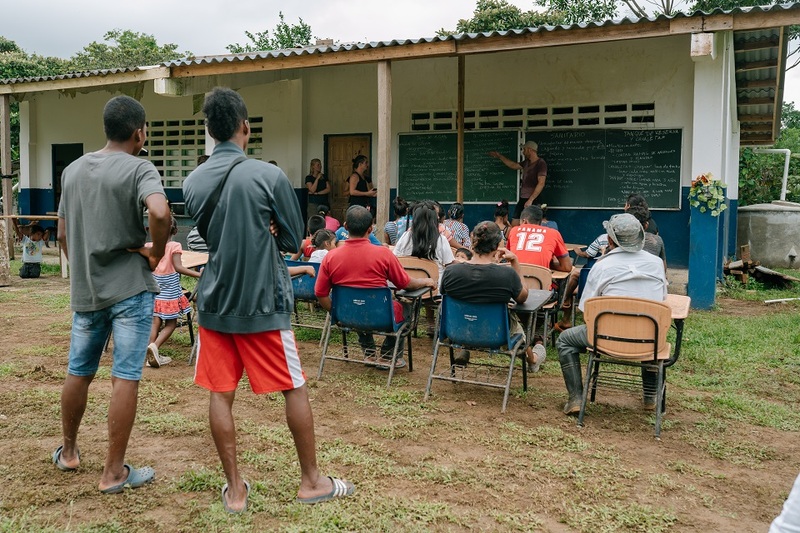 GeoParadise, in conjunction with the community, provided funds, materials, and labor, and assisted in the construction of a volleyball court in a small Ngäbe community in the province of Bocas del Toro in Panama. The purpose of this project was to facilitate social interactions and encourage an active lifestyle within the community. GeoParadise donated a computer to an organic chocolate association of the Ngäbe tribe of Rio Oeste in Panama, to facilitate the promotion and organization of tours of their chocolate farms, which is a large portion of the income of their village. GeoParadise placed an order of 650 Kg chaquira beads (special beads to make artisan jewelry) to provide the opportunity for the community to create more crafts. 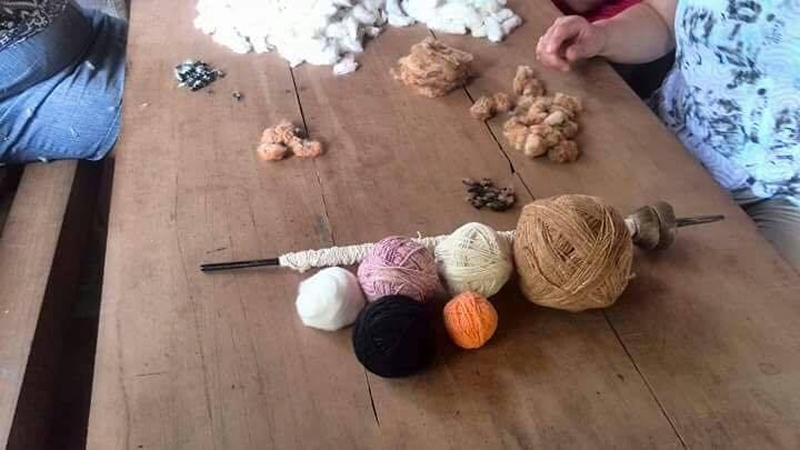 Thanks to this order, the Emberá-Chami were able to create enough craft items to participate in the big craft fair that took place in Bogota, Colombia in December 2015. 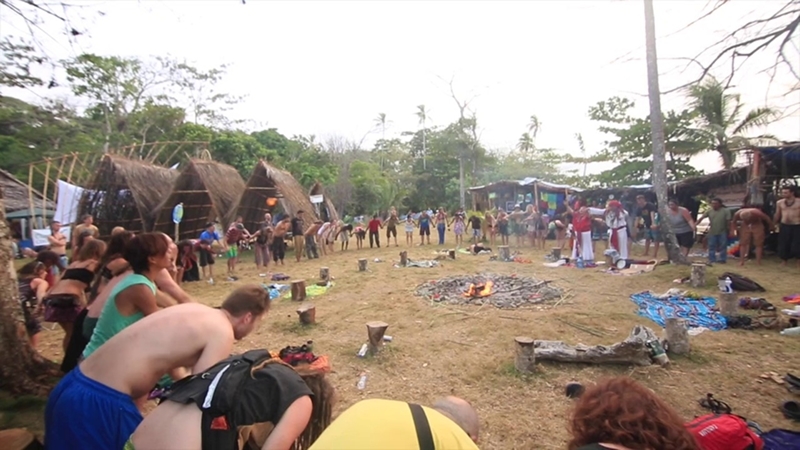 For the fourth edition of Tribal Gathering, GeoParadise invited more than twenty tribes from around the world, with almost 1,000 participants present. The gathering was held on a paradise beach front location, on the Caribbean coast of Panama. 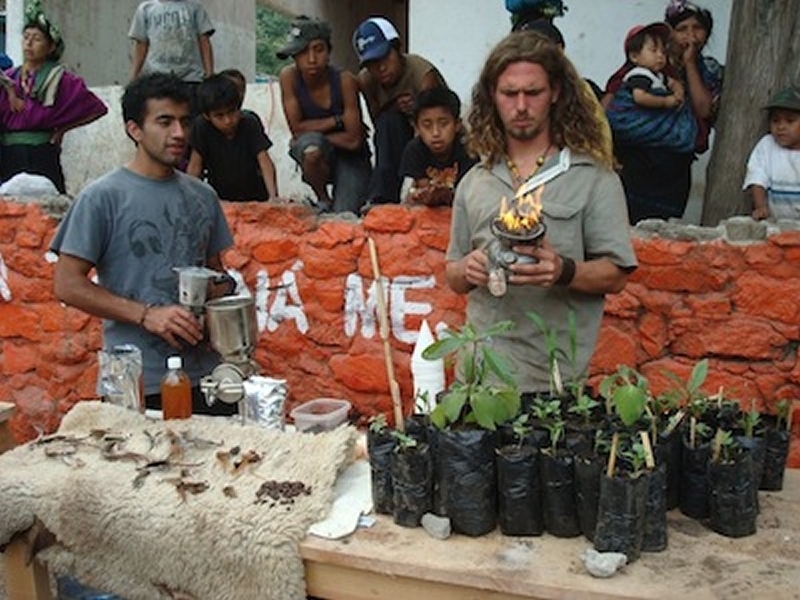 In 2015, the second inter-tribal symposium took place in Guatemala. GeoParadise helped to gather members of six different Guatemalan tribes to come together for a conference. The objective of the symposium was to offer an opportunity to share amongst them their artistic creativity, tribal and environmental issues, as well as share their experiences as different tribes in the same country. GeoParadise donated a pump and accessories to help the Wixarica tribe in Mexico to be able to pump water to their homes, instead of having to walk a long distance to collect it. The water system benefited 150 homes and provided water to 400 people in the community. 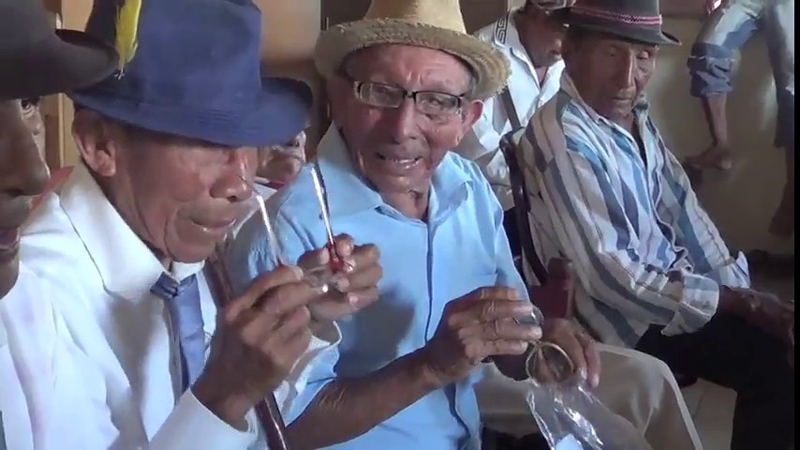 In September 2015, GeoParadise donated 303 glasses to the Foundation of Luz y Fortaleza Indígena, a Kuna-based foundation, which was responsible for giving the glasses to the elders of the indigenous region of Kuna (Guna) Yala. 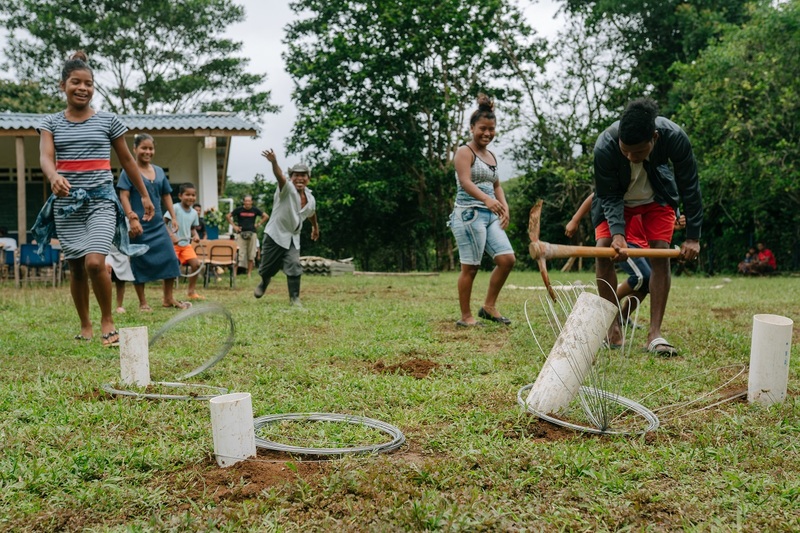 Geoparadise, along with the community, helped to build a community space to hold ceremonies, rituals, meetings, and festivals for 700 people of the Kamayura tribe in the amazons of Brazil. 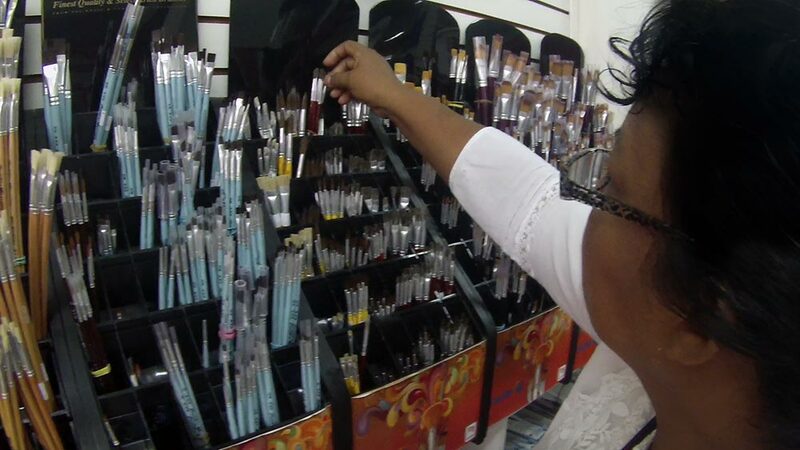 GeoParadise, in conjunction with the Boruca community, facilitated the creation of an art supply store in the Talamanca Mountains in Costa Rica. This supply store allows the community of the Bocura to save time and also money, making the crafts more profitable and improving their livelihood. 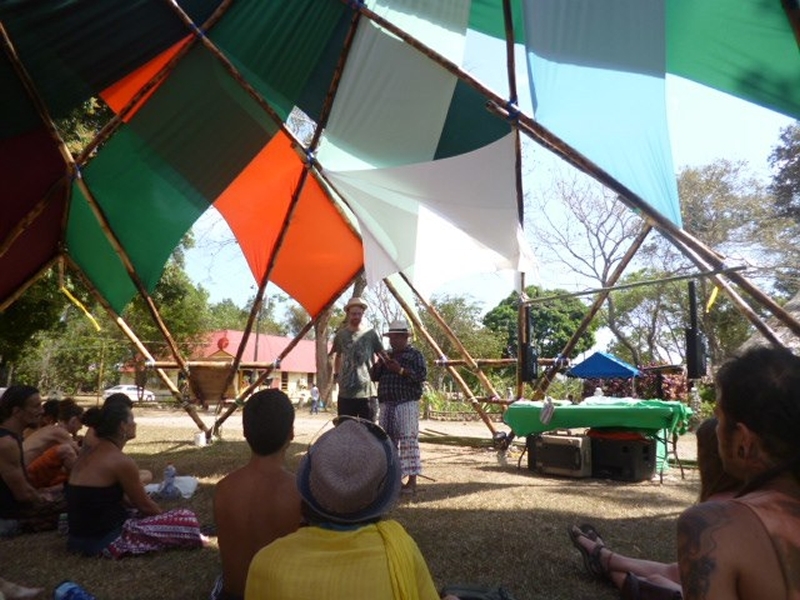 GeoParadise funded a one-day workshop on cultural identity in the indigenous village of the Boruca, in Costa Rica. The purpose of this workshop was to help youth and tribes understand the importance of maintaining their cultural identity. GeoParadise provided transportation to two women from indigenous communities of Costa Rica and Panama, to participate in the United Nations Indigenous Forum, in New York City. The forum gave the women an opportunity to talk about their respective communities and the challenges they were facing in this modernizing world. 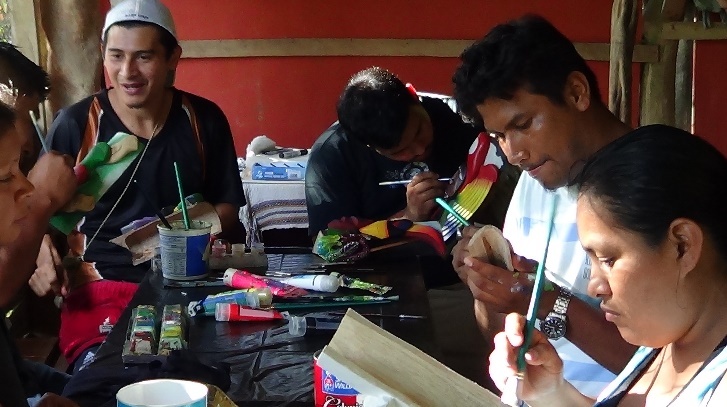 To support the efforts of a Shipibo art teacher in Peru, GeoParadise provided the necessary materials for art classes, to assist in developing the artistic talents of young people from different low-income communities. 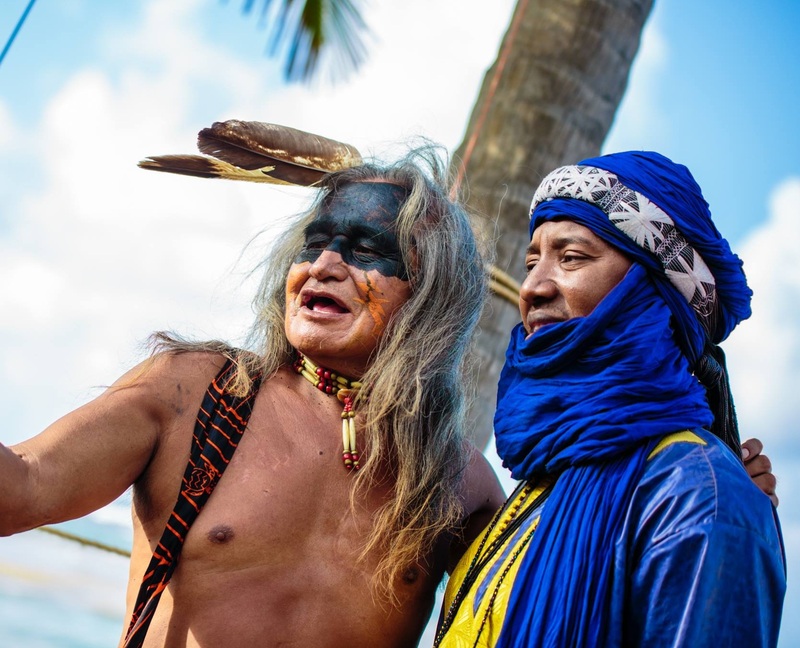 For the third edition of the Tribal Gathering, GeoParadise invited twenty tribes from around the world, with more than 800 participants in attendance. The gathering was held on a paradise beach front location, on the Caribbean coast of Panama. To assist the Mayan community in Guatemala to expand its herb plantation, GeoParadise provided the funds needed to build an herb-drying shed. The project helped many women in the community, who use herbs to dye clothing for community members, as well as clothing to sell to tourists. The herbs were also used for traditional medicines and ceremonies. 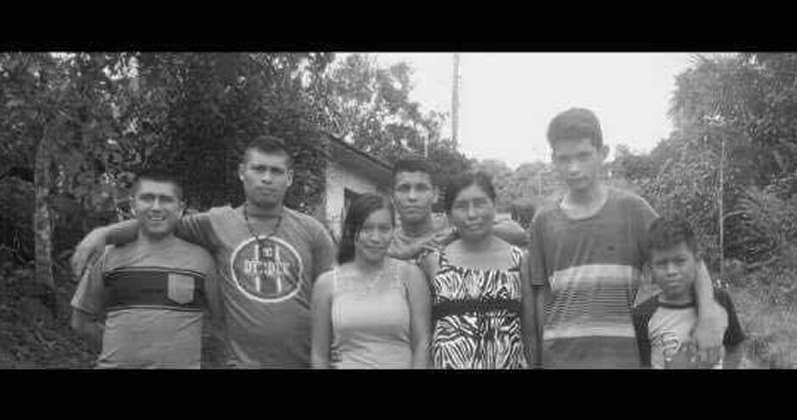 To help one of our partner indigenous organizations register formally with the Department of Social Development of Panama, GeoParadise provided the organization with the necessary funds to pay for paperwork. 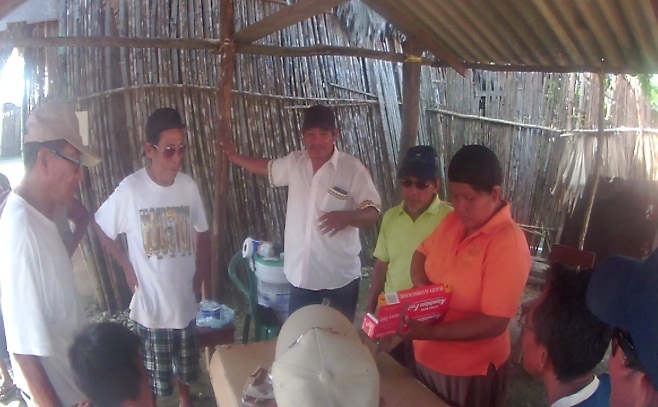 When GeoParadise visited the eastern part of Comarca, on the Kuna (Guna) Yala archipelago, it donated to the community, two breeding pairs of pigs (4 piglets), 40 pairs of glasses for the elderly, and various office supplies for the administrative center of the island. 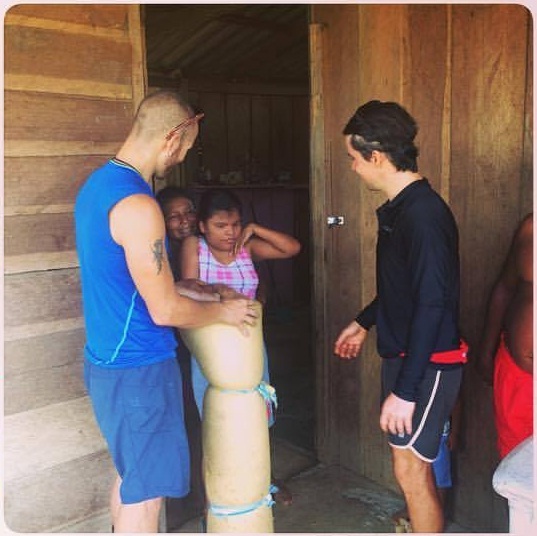 GeoParadise provided an over stock of inventory to a small community convenience store in a village of the Darien, home to the Wounaan and Emberá communities. The remoteness of the village caused its members to walk 2 to 4 days to buy products of daily needs for the community. GeoParadise donated a laptop, from a Tribal Gathering attendee, to the board of directors of the local junta communal (community group of leaders) of Palenque, the small local village near the site of the gathering in Panama, to help with their administrative tasks. Rice, beans, and vegetables were also donated to the board to share with the community. In 2014, the first inter-tribal symposium was organized by GeoParadise and various indigenous communities. The symposium was held in the Kuna (Guna) Yala, with the aim of offering the different tribes the opportunity to share their artistic creativity, via different workshops, presentations, and traditional ceremonies and celebrations. Through the Foundation of Luz y Fortaleza Indigena, a Kuna-based foundation, GeoParadise provided a solar panel and an energy efficient lighting system to a community meeting place on the island of Ustupu, Kuna (Guna) Yala. 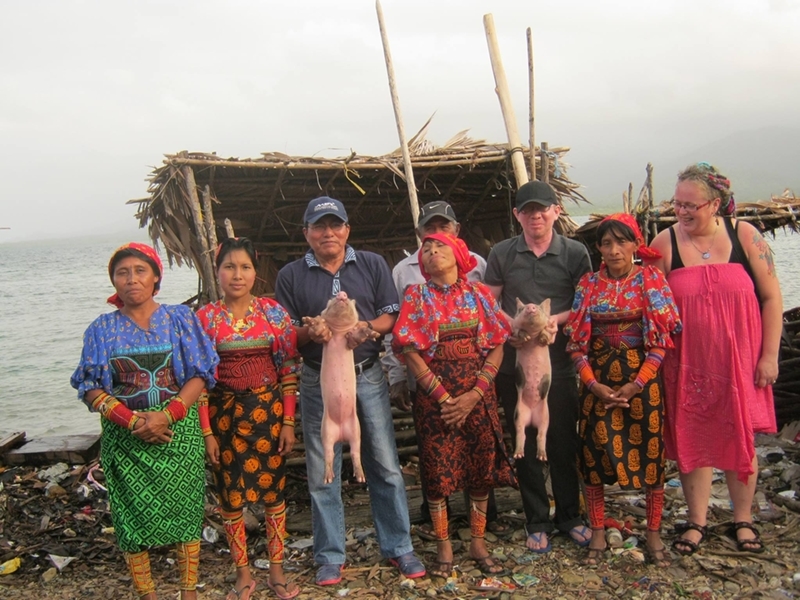 As a continued effort to improve the health, nutrition, and protein intake in the local indigenous communities of Panama, GeoParadise donated more piglets to the community of Usdup, Kuna (Guna) Yala. Through the Foundation of Luz y Fortaleza Indigena, a Kuna-based foundation, GeoParadise provided funding to the school in Tupile, Kuna (Guna) Yala, to purchase traditional parade uniforms for the students. 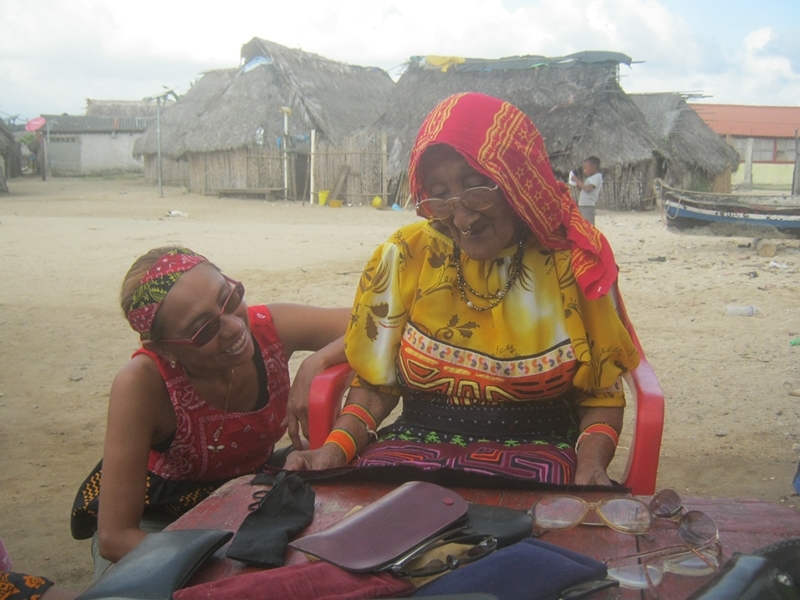 GeoParadise financed the delivery of 100 reading glasses to the community of Mulatupu, in the Kuna (Guna) Yala. On top of that 100, 190 used reading glasses, collected in the UK, were also donated. Tribal Gathering 2014 attracted approximately 650 participants, including guests, artists, tribes, and attendees. GeoParadise invited and financed the travel expenses of 55 tribal participants from nine different indigenous communities from the countries of Costa Rica, Guatemala, Peru and Panama. The gathering took place in the Panamanian jungle. GeoParadise facilitated the transport of a Shipibo-Conibo visual artist and art teacher from Peru, to the artisan community of the Boruca, in Costa Rica, to teach a series of art classes. These courses were requested by the Boruca association after Tribal Gathering 2014, due to inspiration from meeting the Peru Shipibo artists at the gathering. GeoParadise provided transportation for three expert chocolatiers from Rio Oeste Arriba, a small Ngäbe community, to the Kuna (Guna) Yala Islands, for hands-on lessons on how to grow and process raw and organic chocolate from local cocoa trees. The Kunas wanted to know why their traditional cacao trees were becoming diseased. They were also interested in learning how to process chocolate for commercial purposes, along with the ceremonial and home use, especially in islands with no tourism. 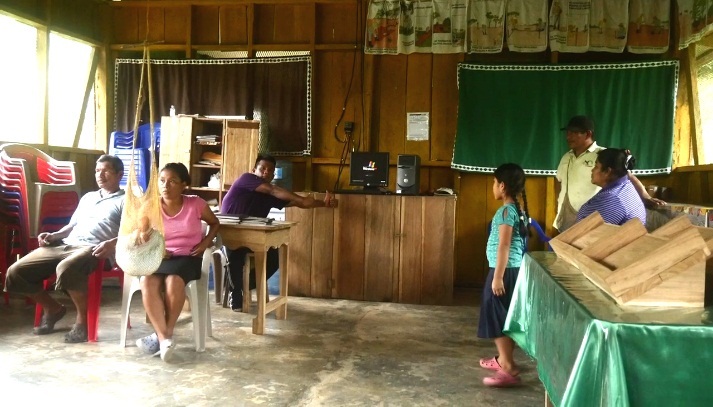 GeoParadise donated and delivered of office equipment and sound equipment for a community center on Usdup Island, Kuna (Guna) Yala, Panama. This indirectly benefited the 3,000 inhabitants of the island through bettering the quality of the meetings held at the community center. Choosing to help other non-profits, GeoParadise donated funds ($700) to Project Nuevo Mundo's IndieGoGo campaign to help cover the travel costs of their Earth Odyssey project. GeoParadise donated and transported 100 baby chicks and 100 pounds of chicken feed to Mandiyala, an indigenous village in the rainforest of Kuna (Guna) Yala, Panama. 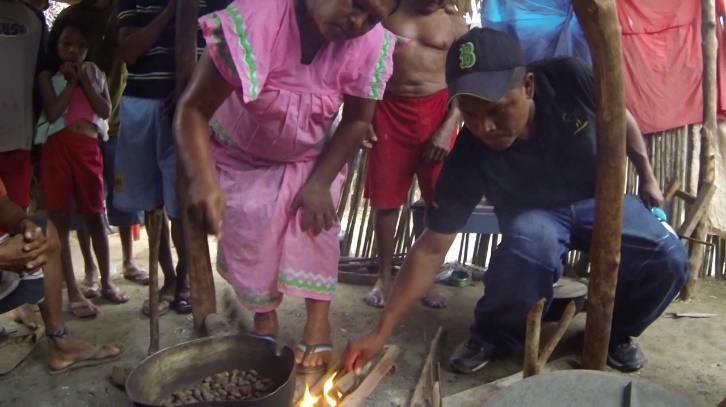 The Ngäbe, a Panamanian Tribe, from the community Rio Oeste Arriba, joined Geoparadise’s Tribal Gathering 2013 to demonstrate their ancient culture of chocolate making from their organically grown cocoa beans. 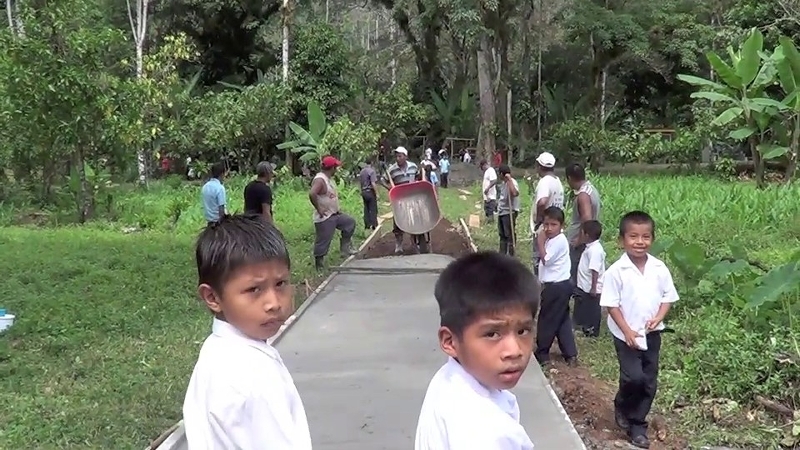 Since then, GeoParadise has worked with them on many projects, with one being to facilitate the building of a sidewalk for school kids so they didn’t have to constantly walk in the mud on their way to school. 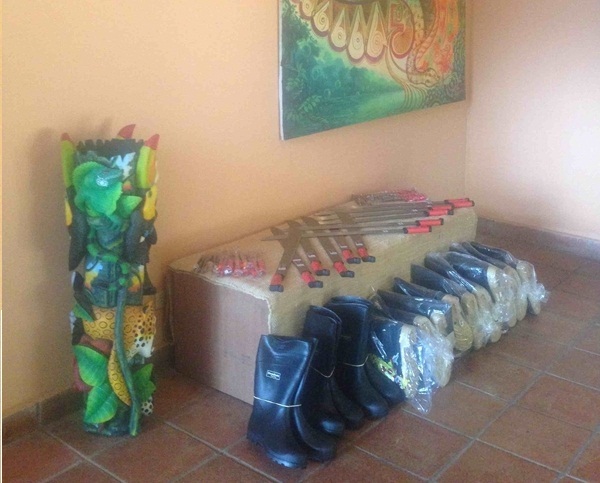 GeoParadise donated to the Kuna (Guna), 12 rubber boots, 12 machetes, and 17 sharpening tools, to a group of farm workers, for a communal agricultural project. 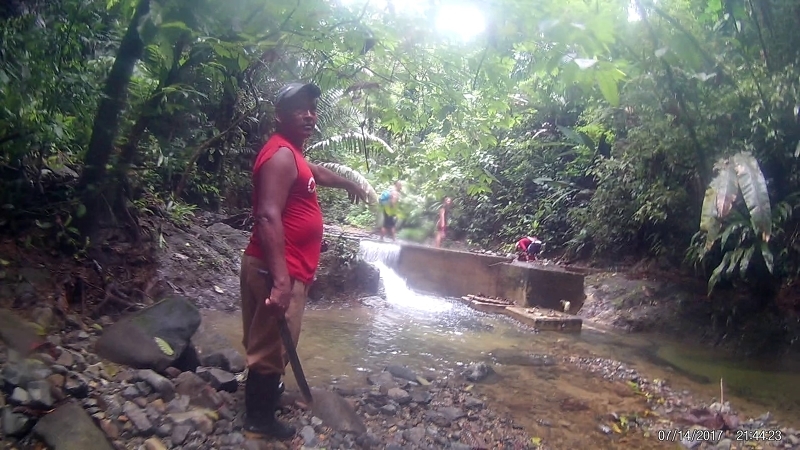 GeoParadise filmed and produced a short video to raise awareness about the water issues in Nalunega and 3 other neighbor islands in Kuna Yala. Access to freshwater in this community is limited and collected mainly from rainwater. An ongoing campaign to raise funds was launched with the aim to purchase and install a desalination plant. 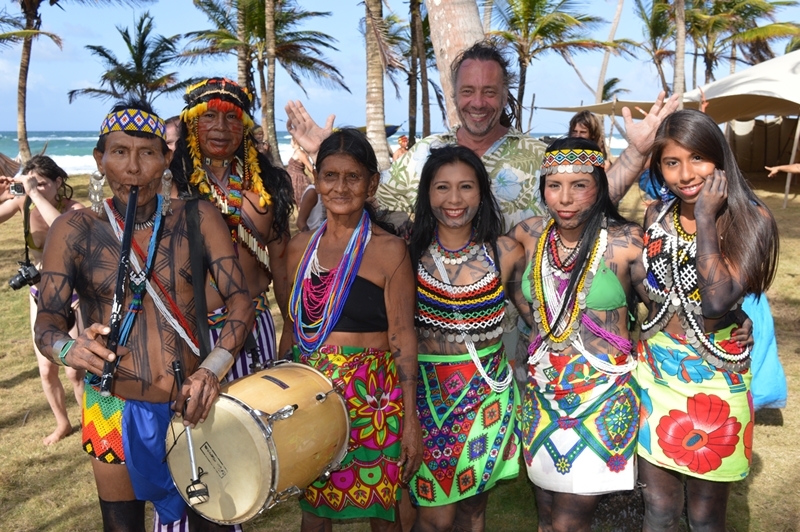 Launching Tribal Gathering, GeoParadise invited nine tribes from the Americas, with more than 500 participants in attendance. The gathering took place for a week in Churuquita Grande, Penonome, at a rural hostel on the river bank. "Even a small contribution can make a big difference"
GeoParadise.org by GeoParadise Inc is licensed under a Creative Commons Attribution 4.0 International License.